Long before mountain bikes roamed the trails in Bukit Timah, people used to walk and live there. Villagers who lived there planted many durian trees currently still seating inside Bukit Timah forest. During nation buildings, villagers were relocated but people continue to walk and hike there. 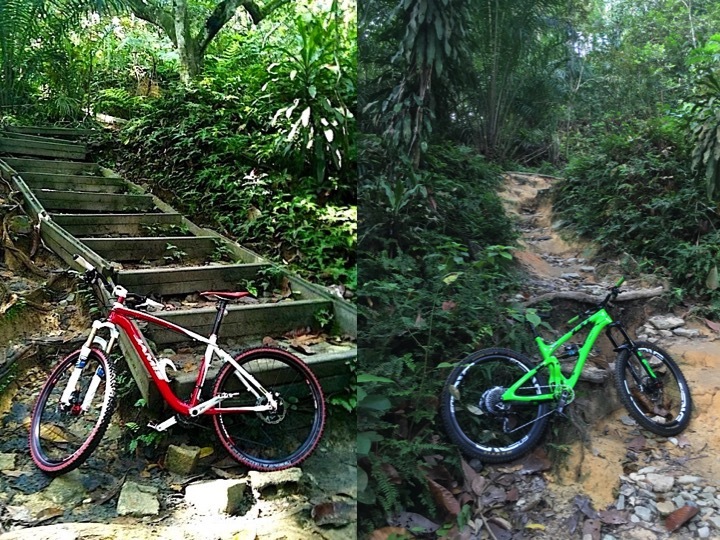 As our nation progress and citizens became more affluent, people started to ride mountain bikes inside Bukit Timah forest. During those days, there weren’t many mountain bikers. Hikers willingly shared the trails with mountain bikers, as people were lesser and the trails were wider then. Overtime, the growing population and interest in mountain biking caused NParks to separate hikers and mountain bike trails by designating a network of trails for mountain biking. Some pioneer hikers who used to walk on the designated MTB trails continue to hike there, while pioneer mountain bikers who used to ride on other non-designated or forbidden trails continue to ride there. Some local and foreign mountain bikers who were unaware of the history cried foul, demand outright ban or barter trade with hikers. Some mountain bikers kept mum about the history but add fuel to fire for the purpose of pushing their agenda. Others resort to personal attack and discredit the outspoken few who hold different views. So much about inclusiveness and diversity in opinions. Moving forward, what is the best solution to this historical and universal conflict? Looks like a never-ending story, something that cannot be resolved but can only be mitigated. This tiny red dot of over 5 million population does not help either. Besides sharing, what else can we do? Unfortunately, BT MTB trail was narrowed into single tracks in most sections after the upgrade in 2014. Numerous rock sections were built for the purpose of drainage, minimize soil erosion and enable mountain bikers to exhibit their MTB skills. It has become undesirable and dangerous for sharing with hikers. NParks came out with the idea of creating a distinctive parallel and separated trails for hikers, by installing concrete bollards and ropes to separate the trails. Good plan but poor execution. 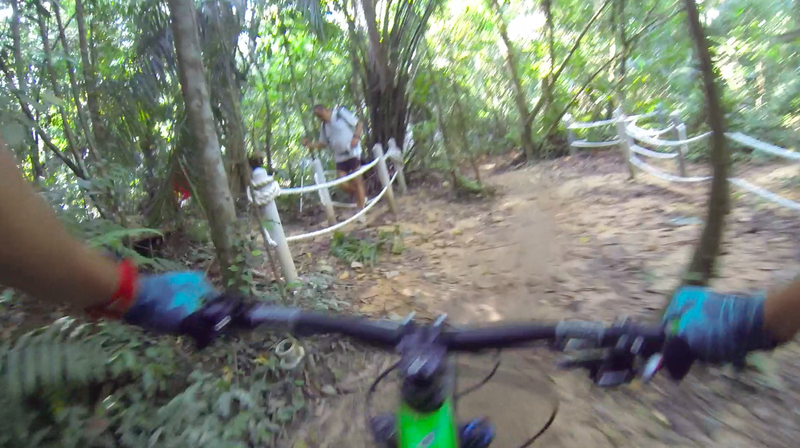 NParks should have gotten buy-in from MTB community before execution. Instead of concrete bollards, rubber flexible bollards should be used. Cutting new hiker’s trails should be seriously considered to minimise number of dangerous cross paths with mountain bikers. Some may argue hikers will continue to walk on MTB trails instead of the bollard hiker’s trail. 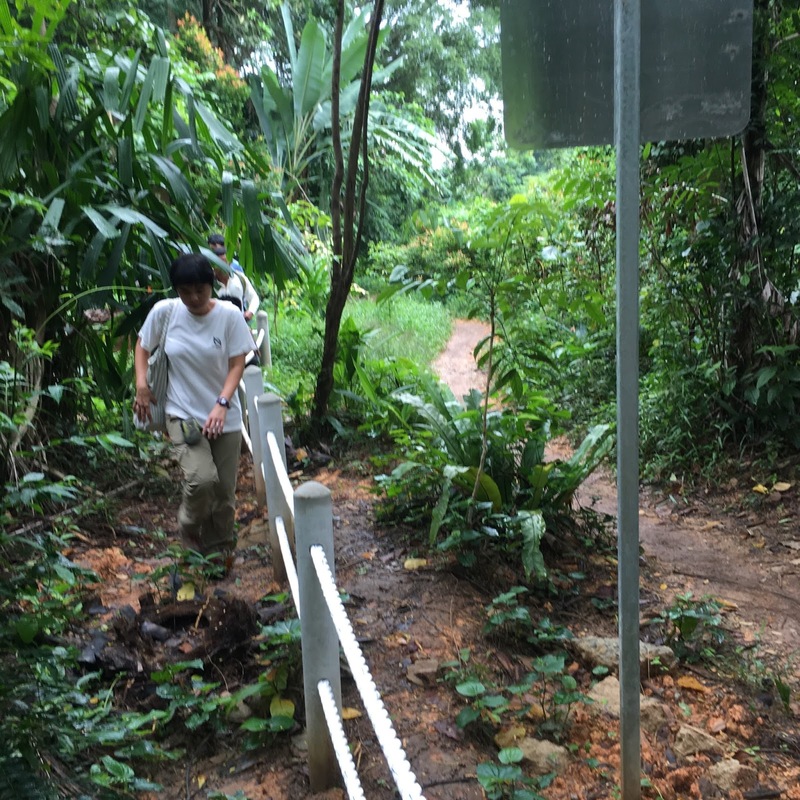 Similarly, hikers may argue mountain bikers will continue to ride MacRitchie at night and other forbidden trails despite having designated MTB trails. The never-ending argument will continue. Moving forward, education is the only way to go. Lately, I realized noticeable lesser hikers on BT MTB trails compared to last year. The distinctive bollard hiker’s trails and signage may reduce confusion, and hikers no longer able to plead ignorant. On the other hand, mountain bikers need to accept change and adapt to new environment. Like it or not, we should look forward and find ways to co-exist. NParks should be more transparent to engage various interest groups and main stakeholders when making decision that affects MTB community. 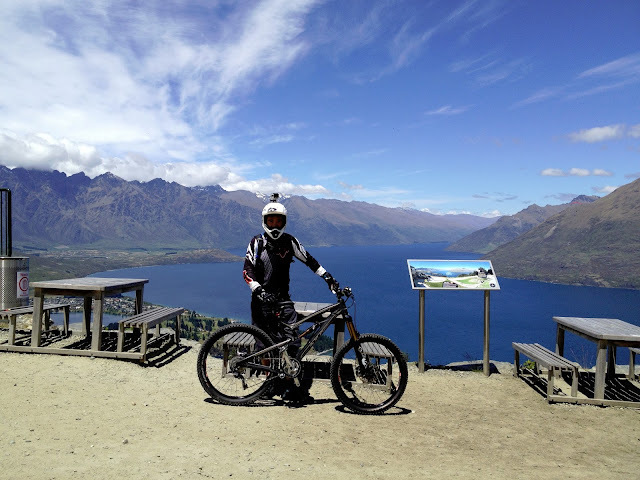 The challenge for NParks and MTB community is…who represent MTB community? In July 2012, the MBASG was formed by a group of volunteers who felt very strongly about trail advocacy in Singapore. MBASG also seeks to serve as a link between NParks and the MTB community. The problem is...does MBASG represent majority of MTB Community? Are MBASG committee members formerly elected by members of the MTB community or do they assume the posts out of duty or other motives? In order for NParks to better communicate with the MTB community, MBASG should play the bridging role by getting mandate from MTB community through open election. Those who are lazy or don’t bother to vote shall not complain or claim foul if things turn against them. The nominated candidates for MBASG shall represent the voice and interest for those who vote for them, even though the voices may not be in line with their values and beliefs. Not many candidates in our MTB community can fit the roles, or those who fit the roles may not want to stand in as candidates. Given the choice, I will still vote my kaki Calvin Chin as the President of MBASG to represent my interest. Not too sure about other non-elected MBASG committee members who do not represent my values and interest. For those who felt very strongly about the issues, time to step in to serve the community...off course, you need to be elected by the MTB community.